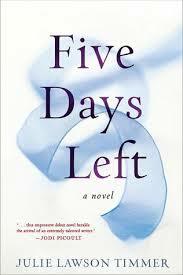 Today’s book review, of Five Days Left by Julie Lawson Timmer is brought to you by Deb Atwood. If you’d like your book reviewed or to send me a book review of another author’s book, see book-reviews for the guidelines. Other options listed on opportunities-on-this-blog. : Mara is a successful lawyer, and devoted wife and mother. Struggling with a devastating illness, she has set herself five days to make the ultimate decision for her family. Scott lives a thousand miles away, and is a foster parent to a troubled eight-year-old. Scott is facing his own five day countdown until his beloved foster son is returned to his biological mother. The two connect through an online forum, and find a friendship to help guide them through the most difficult, and momentous, week of their lives. Available from http://www.amazon.co.uk/Five-Days-Julie-Lawson-Timmer/dp/039916734X and http://www.amazon.com/Five-Days-Julie-Lawson-Timmer/dp/039916734X. Last month millions of viewers tuned in as terminally ill Brittany Maynard discussed her decision to end her life. Faced with debilitating symptoms, Maynard wanted to die with dignity while she still had the ability to act. Although it was all too real, it seemed the stuff of fiction. And so it is the stuff of fiction, in one of those art-imitates-life moments. In her debut novel Five Days Left, author Julie Lawson Timmer presents us with a character in many ways like Brittany Maynard. Young, attractive, devoted to her husband. And dying. Ironically, it was the humanist writer Kurt Vonnegut who said, “Be a sadist. No matter how sweet and innocent your leading characters, make awful things happen to them — in order that the reader may see what they are made of.” Timmer has taken this dictum to heart. Her leading character, Mara, suffers from one of the most devastating diseases on earth. She has inherited Huntington’s Disease. The prognosis for Huntington’s is death following loss of muscle control, loss of speech, and loss of brain function. Faced with the mounting evidence of her decline, Mara promises herself that once a certain threshold is crossed, she will end her life on her next birthday. She doesn’t know what that threshold is, just that she will know when it happens. In the opening chapter, Mara is humiliated when she urinates all over herself in front of horrified onlookers. This becomes Mara’s threshold. There are only five days left until her birthday. Another leading character also feels the Damocles sword of the five-day deadline. Scott, a dedicated middle school teacher, loves children. For the past year he and his wife have been fostering a troubled, undernourished eight-year-old boy whose mother is in jail for drug possession, scheduled to be released in five days. In five days Scott’s time as foster dad ends, and Curtis will return to a roach-infested hovel where the cycle of filth and neglect will resume. Like Mara, Scott rails against fate and tries to imagine an alternative outcome. The plane on which the storylines intersect is an internet site for adoptive / fostering parents called Not Your Father’s Family Forum where Mara and Scott chat and offer encouragement. Scott shares his angst over the looming separation from Curtis as well as his disappointment that his wife is looking forward to it. As an adoptee and adoptive parent, Mara is a cheerleader and mentor to the forum members, particularly Scott, for whom she feels a special connection. Scott, meanwhile, has no idea that his online supporter is hiding her own pain. He does not know that even as she writes to him, she questions her life-ending decision and wonders what he would think of it. I found Scott’s storyline less compelling than Mara’s. More than once I caught myself skipping to the next chapter to return to Mara’s life. Initially I was drawn into the foster parent story of Scott and Curtis. Adoption is a special area of interest for me—both in writing and reading—yet somewhere, and I’m not sure where, the Scott/Curtis story became repetitive. Scott didn’t know how he would cope, his wife was looking forward to their new freedom, back and forth. Ultimately, these characters began to feel two-dimensional. Complementing my interviews, today’s Author Spotlight, the three hundred and eighty-eighth, is of science-fiction novelist Robin Matchett… and see below for details of Robin’s tour giveaway and click here to read Robin’s article ‘Science Fiction and Reality Today?’. If you would like to take part in an author spotlight, take a look at author-spotlights. 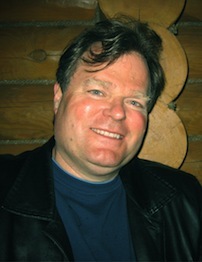 Rob (Robin) Matchett was born in Paris, France of Canadian parents, but has resided most of his life in rural Ontario. He claims to have been well-educated in the arts in mostly private schools and some university, yet finished curiously studying horticulture and agriculture. Unused to explaining his trajectory in life he said that some thought him a natural talent that had a gift for telling, or at least an imagination that subscribed to it. To others it appeared he preferred a solitary life close to the elements to contemplate the unfathomable wonder of things, whether it be history, culture or science. Well-read, he has an uncanny ability to seek out what truth and reason seem to reveal, and if wrong and evidence upends, the first to admit it. He is known to eschew social media as somewhat overwhelming which can co-opt his meditative equilibrium, though his open and friendly demeanor seems to lend itself to a natural sociability. To begin one must understand that Rob is an old soul. It could be said that his nature may have some contradictions like any, from virtue to vanity, and ignorance to illumination, and inherent of all the strengths and weaknesses. Rob told me he has learned to live simply, almost monkishly, though with a decent culinary appetite as he grows some of his own food and enjoys certain delicacies or luxuries of habit. His place is perhaps an idealistic one, living in a country setting, studying many themes, but a moral one, and as liberal as the sun. There was a time in his youth that he felt an inner fire alighting his mind with some great idea or purpose, yet with time he saw through such feelings as illusory at best in the guise of immortal youth. Marriage and children have a way of bringing one down to earth. However, to better oneself and to bring to fruition some sense of this, he told me the poet in him had to wring blood from stone and find the discipline to set down what he deemed a creative-believable-oeuvre that encapsulated his attempt to make a difference. It would appear that there has to be some reason or proscribed method to his vision or style, and an understanding gleaned from his search for truth without the hubris. So an epic poem, novels and sonnets emerged from the primordial drive, an effort if flawed, but nonetheless true to form. As well, music and film scripts were brought forth being an extension of his creative voice. It could be said that some have a gift for truth tempered to an age, or for all time. It is a positive spirit, one based in love for humanity and justice – a love circumspect of all ages where truth brings forth light from darkness – where evil is exposed in the light. Some do indeed shine a light. Now Rob may or may not be this – he thinks everyone has that potential – but assuredly divines in a cosmos where all is possible and all is relative, and one simple soul doesn’t really amount to much unless there is some historical or literary significance. At the end of the day, we have stories and an individual who is responsible for them – just another vessel on the current of a human sea. 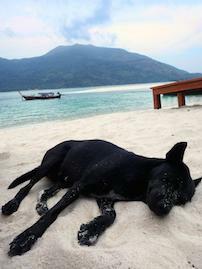 Big dreams have a way of rounding out in some practical adjustment. Any author would perhaps find some measure of truth in this. They all want to be read and heard. Rob is no different. Be it success or failure, man or woman, self-promotion is likely a given necessity. Obscurity may be the fearsome predator, or sweet surrender, and success today could be failure tomorrow and vice-versa. Be it as it may, living the dream of a flowing mind to text is a panacea to the pain of delirium or bust. Happiness is the creative mind. Rob embodies the true artist. 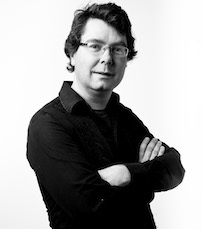 Today’s guest blog post is brought to you by author and lecturer Jonathan Taylor. There are many reasons why people decide to sit down and spend hours, days, even years of their lives writing memoirs. 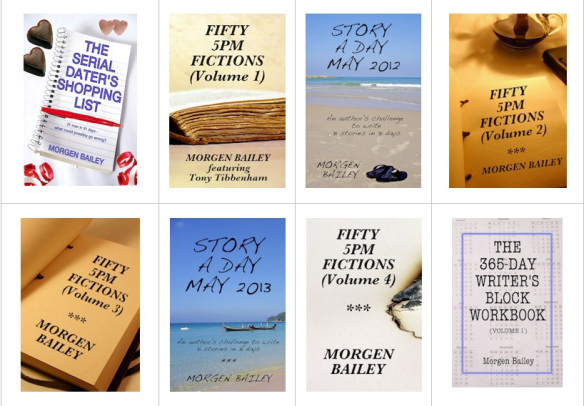 For some, writing is a way of remembering what they’ve found out through research; for some, writing is a way of preserving what they’ve found out for their children and grandchildren; for others, writing is a way of telling personal or family stories to people outside the immediate family unit, often with the ultimate aim of publication. All of these different kinds of writing imply different spheres of readership, from the self, to other family members, to the public at large. And, in turn, these different spheres of readership determine the kinds of writing involved. Put it this way: if, as a writer, you are writing for your own memory, you might just list facts, dates, names and notes. If you are writing for your family, you might need to develop these notes into anecdotes and stories, in order to interest younger family members, who might otherwise prefer watching Eastenders. If, on the other hand, you are writing for the reading public at large, you will need to shape your anecdotes, stories and histories in a very different way altogether. This chapter concentrates on this third form of writing because, in some ways, it is the most difficult and certainly the strangest of the three. And perhaps it’s even more perverse that readers want to gawp at people’s old laundry – that there are readers out there (by the thousands) who consume memoirs, biographies, autobiographies and social histories by the dozen. No doubt some of this is simple nosiness: after all, everyone is intrigued by other people’s dirty laundry, other people’s secrets, other people’s faults, eccentricities, failings, failures. Hence the popularity of chat shows on daytime T.V. As a writer, you can’t overestimate the importance of the ‘nosiness’ factor in your readers. It’s a basic human urge. 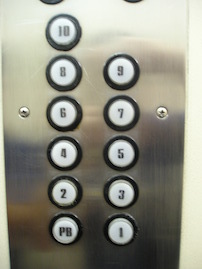 People want to know other people’s business, pry into their relationships, sneak a peak in their underwear drawer. They want to know what makes other people tick, what is special, odd, unique, idiosyncratic about them. So when you’re writing for publication, you need to think about this all the time: what makes your subject special? What makes it worth reading? What differentiates your personal story from everyone else’s? In the words of the publishing industry, what is your story’s ‘unique selling point’? Such questions don’t have to bother writers who are writing for themselves or their own families. But for the memoir-writer who is aiming at publication – for the writer who wants to interest publishers and general readers – the story has to have a central theme, image, character, setting, anything which sets it apart from a million million other stories. That doesn’t mean, of course, that the story has to be world-shattering or Napoleonic in scope. In his book Writing Home, Alan Bennett claims that ‘ordinary middle-aged men in raincoats can be instruments of the sublime,’[ii] and a good memoirist knows this. A good memoirist finds the sublime in supposed ordinariness, and focuses on what is special and unique about their supposedly ‘normal’ family or personal background. Every family, every life has something which marks it out from all the others, and it is this element which should form the central point of a memoir, lending it some kind of coherence. Again, people who are writing for themselves don’t need to worry about coherence; they can write about anything and everything, listing lots of unconnected facts, transcribing anecdotes verbatim, recording everything they’ve discovered. But the writer who wants to be published has to have a central subject – something, as I say, which makes their work special – and has to focus on it single-mindedly, selecting what is relevant, and cutting everything which doesn’t fit in. Such a writer is not writing to record and remember all of his or her history. He or she is necessarily focusing on a particular subject or theme which makes the story special, and therefore of interest to general readers. 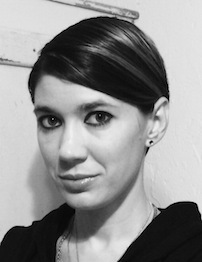 Complementing my interviews, today’s Author Spotlight, the three hundred and eighty-seventh, is of debut novelist and short story author Steph Post. If you would like to take part in an author spotlight, take a look at author-spotlights. Steph Post is a tried and true Florida native. Her adventurous childhood growing up in an alligator ridden backwoods swampland has led to a lifetime of dauntless creativity and unapologetic risk-taking with words. Spice this up with the knowledge that she has also been a recipient of the Patricia Cornwell creative writing scholarship, winner of the Vereen Bell award for short fiction, semi-finalist for the Big Moose prize for fiction, loves coffee, is obsessed with the television show Justified, lives with five dogs, and enjoys reading Southern literature when she’s not too busy being a badass, and you should have a pretty good picture of who you’re dealing with. Like the characters she writes about, Steph Post is vulnerable and volatile, fearless and fierce. She is most recently the author of the debut Grit-Lit novel A Tree Born Crooked. Make sure that you are in love with your book. You are going to be spending a very long time with a very long piece of fiction. By the time you have gone through multiple drafts, revisions and edits, by the time you have written a synopsis and a query letter, and another version of a query letter, and so on, you will most likely know your novel by heart. Sure, there will be times when you get sick of it, but no matter what, you must be the number one champion of your work. And that can only happen if you absolutely, unconditionally love your book. My other piece of advice is one that I’ve given to many of my students, because it pertains not only to writing, but to life: it’s okay to make mistakes, as long as you learn from them. Usually, this is in the context of consoling a teenager in the midst of a break-up, but I think it is a motto that all would-be authors should keep in mind. If the story isn’t sparking, figure out why and fix it, even if you have to “kill your darlings.” If you get rejected (and you will…. ), go back and look at the guidelines, examine your query letter, read over your first chapter once again. You might be doing everything right, but there’s always the chance that you’re doing something wrong and now you have an opportunity to remedy it. I’m not saying that mistakes and failure won’t hurt – at times it will feel like an agent, editor or reader has ripped your heart out and thrown it in front of a Mack truck- but if you always look at failure as an opportunity, then you will always be gaining instead of losing. 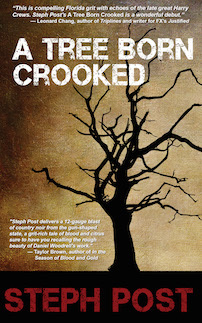 You can find more about Steph and her writing via… www.stephpostfiction.com and A Tree Born Crooked is available on Amazon: http://www.amazon.com/Tree-Born-Crooked-Steph-Post-ebook/dp/B00NAFBSSU or http://www.amazon.co.uk/Tree-Born-Crooked-Steph-Post-ebook/dp/B00NAFBSSU.